This advent calendar is a numismatic highlight and a source of joy this Christmas. 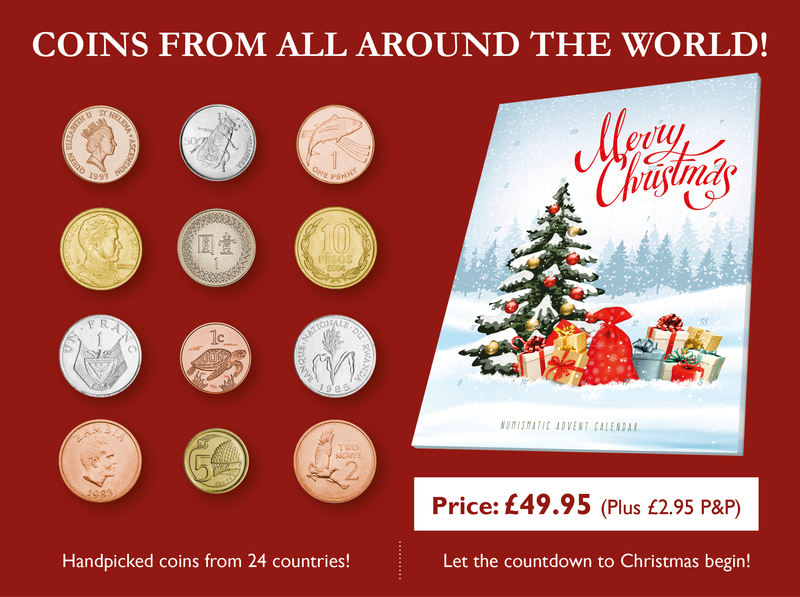 Featuring coins from countries with the most interesting and beautiful Christmas traditions, each opened door allows you to travel to the furthest reaches of the world. Advent marks the start of the Christmas season in Britain, but this “Christmas” coin advent calendar lasts long after Christmas is over.